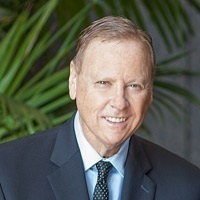 Steven Yamshon has been providing investment advice and managing investments for high net worth individuals, non-profit organizations and companies for over thirty-five years. He is responsible for asset allocation, investment management, and security selection. Steven Yamshon graduated from California State University, Sacramento with a Bachelor of Science Degree in Environmental Resources with honors and has also earned his Certificate in General Forestry from the University of Maryland. He completed his 2 year certificate in engineering management from Caltech. Mr. Yamshon studied at the Yale School of Forestry and Environmental Science Forestry for Executives Program in 2009 and 2013. Mr. Yamshon earned his Master’s Degree in Business with a concentration in International Business from the University of Redlands and studied Finance and Economics at The University of London Business School and the Institute of Economics and Political Science at Cambridge University as part of his program. He is also a graduate of the Harvard Business School Owner President Management Program (Class OPM 14, 1989) where he studied general management and received his OPM degree/certificate. Mr. Yamshon is also a graduate of the UCLA Anderson Graduate School of Management Executive Program (Class EP064) where he studied economics, finance, management, and strategy. Mr. Yamshon further studied strategy, economics and finance at the Doctoral level as a Visiting Scholar. Mr. Yamshon earned three Master’s level qualifications from the Said Business School, University of Oxford. The three qualifications are: Diplomas in Financial Strategy, Diploma in Global Business and Diploma in Strategy and Innovation. Mr. Yamshon also graduated from the Said Business School Oxford Advanced Management and Leadership Program with a Certificate in Management Studies. His dissertation was on forestry investments. As a Visiting Scholar, Steve was on the faculty at the UCLA Anderson Graduate School of Management. He now teaches investment finance at UCLA Extension. Member of the Royal Forestry Society in the United Kingdom. 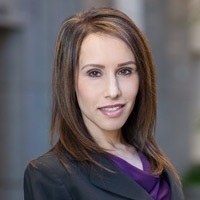 As the Operations Manager, Portfolio Administrator, and a Principal of the firm, Nora Rascon-Brooks handles the company's internal organization, including financial management, organizational effectiveness, as well as portfolio administration, which includes providing clients with account assistance, such as requests for funds, balances, standing instructions and any other account administrative services. With 15 years of experience, she had previously worked in technology and architectural environments. Nora has earned the Registered ParaPlanner (RP) designation from the College for Financial Planning. As the Accounting and Compliance Manager, Arash Navi is responsible for implementing and monitoring the firm's compliance program and overseeing all areas relating to the accounting and financial reporting. His previous work experience includes over seven years in various private sector firms. Arash completed his Bachelors of Science in Economics with a Minor in Business from University of Victoria and is licensed as a Certified Public Accountant (CPA). He also earned his Accredited Wealth Management Advisor (AWMA) designation from the College for Financial Planning. 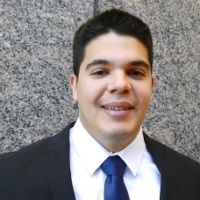 As the Financial Analyst, Robert Verdugo assists in the execution of trades, account analysis, performance reporting, and compliance activities. He has previously worked for the Los Angeles Angels of Anaheim, LLP in their finance department. 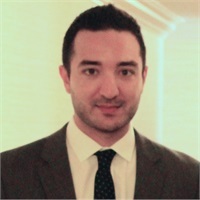 Robert completed his Bachelor's degree in Business Economics from the University of California, Irvine and hopes to begin the process of obtaining a Chartered Financial Analyst (CFA) license. 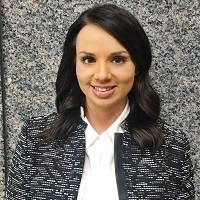 As the Executive Assistant, Katie DeSantis provides ongoing administrative support along with management of records and documents, and superior customer service. She has previously worked as an administrative assistant for over four years and customer service for over ten years. Katie completed her Associates Degree from Saddleback College.